If you are a resident of a country outside the European Union, you have the ability to have some of the Value Added Tax (Moms) refunded when you leave the EU. We provide you with a claim form which you will need to present at the Global Blue Tax Free office at your final European airport. They will process your form and present you with the refund in the form of cash or a credit to your card. If you have any questions on what to do or where to present your form, please feel free to ask any of us and we will do our best to help you. 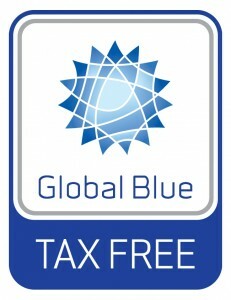 Alternatively, you can visit the Global Blue website for more information. Enjoy your stay and happy shopping.